During our long association with SL, we have supplied approx.4 000 weather shelters of models City 90 Elegant and Traffic Concintra, to support the public transports. 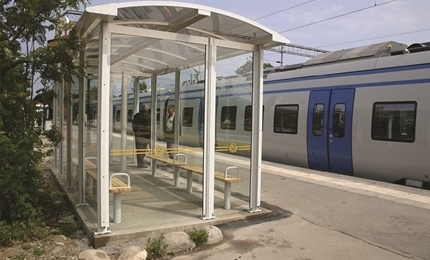 We have also delivered about 50X-rail shelters to the commuter train services. In the Spring of 2013 we installed about 70 of our newslim advertising units at tram stations along the cross-line between Alvikand Solna C.